General maintenance of keeping your framework up to date. 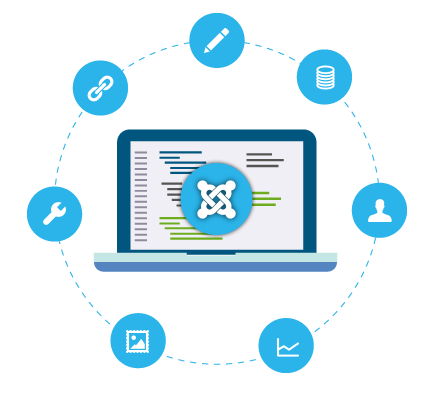 Joomla is a powerful, flexible and very robust content management system (CMS) which makes it suitable platform for almost any small to medium business enterprise for it’s functionality and robustness. This internationally acclaimed content management system is Open Source technology that makes it much cheaper to develop with and gives you a magnitude of options and functionalities you might need. Estar’s web design services insure that we tailor make responsive websites to suit each clients web design requirements. We use Joomla to design and develop websites in case there are very specific requirements that WordPress cannot achieve, mainly because it has certain disadvantages to a website constructed with WordPress. The main disadvantage in our opinion is that it is revolutionary CMS, meaning that each version has a predetermined lifespan and every few years after the latest version release you would require a Joomla Migration or Upgrade to that latest version or your website will become unsupported, usually a 4 year cycle. WordPress has upped its game compared to Joomla in most aspects we also recommend clients to do a Joomla to WordPress Conversion to avoid ever having to spend more money on Joomla core upgrades or possible redesigns. We also offer a top of the range web hosting solution specially programmed for Joomla websites. We offer full training to our clients to manage the content of their sites, saving them lots of money down the line to get developers to manage their sites for them.